On Sunday, July 17, 2016, at 10:00 a.m., Monday, July 18, 2016, at 4:00 p.m., and Tuesday, July 19, 2016, at 4:00 p.m. in “special closed session meetings”, the incompetent Marten will be evaluated by the same Board of Education (less disgraced Ex-Trustee Marne Foster) that sanctioned Marten’s lies and misdeeds in support of Marne Fosters illegal actions. Given that Richard Barerra, Kevin Beiser, John Lee “Up For Election” Evans and Mike McQuary not only ignored Marten being the improper operational arm of Marne Foster for almost 3 years, but were a party to her lies through both the San Diego County Grand Jury and the SCPA Investigation Report, NO SDUSD Stakeholders can trust the ethics of the Board of Education when evaluating their co-conspirator Superintendent Cindy Marten. Marne Foster’s Board Appointed Trustee replacement, Sharon “Up For Election” Whitehurst-Payne will probably just go along like she has since being appointed by her cronies on the Board and Marten. Just another rubber stamp board member. 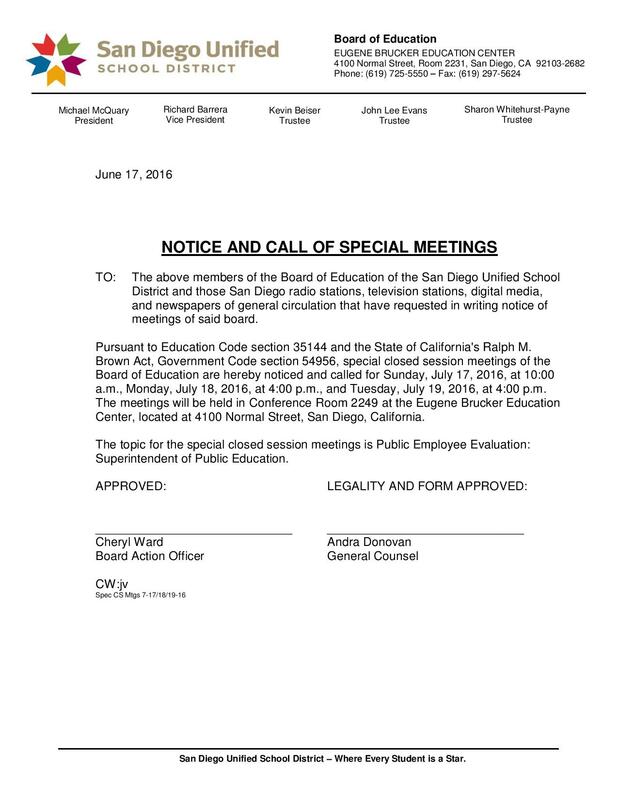 Since Marten destroyed the San Diego Unified School District (SDUSD) website making it virtually impossible to find any information on the website we will set the evaluation frame from August, 2015 through July 2016. Last year we gave Marten a “remedial” evaluation. 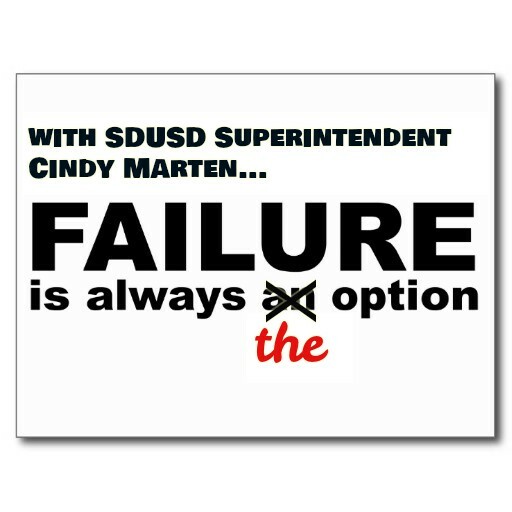 This year, to give readers the real truth and facts to evaluate Superintendent Cindy Marten, District Deeds is listing a month by month log of the Cindy Marten disaster along with evaluation scores. Period 1 will be published on Friday, July 15, 2016. To be sure you don’t miss an issue of the evaluation, click the “follow” button below and you will get an email automatically when an article is published on District Deeds.